1968 saw the assassination of Martin Luther King Jr and Robert Kennedy; two black athletes staged a silent demonstration at the Summer Olympics and the popular Sci-Fi series, Star Trek aired America’s first interracial kiss. 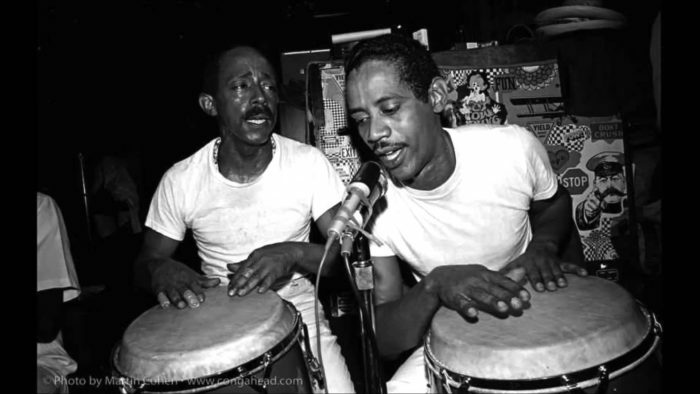 And, it was the year the Cuban percussionists, Carlos “Patato” Valdes and Eugenio “Totico” Arango captured the spirit of New York’s emerging rumba scene. The “variation” was none other than the bassist, Israel “Cachao” Lopez, a founding father of the mambo and tresero Arsenio Rodriguez, the granddaddy of Afro-Cuban music. The result was a groundbreaking mixture of street songs, Lucumi music and Abakuá chants that became a “national hymn” for emerging Nuyorican rumberos who had limited access to traditional rumba and learned mainly by studying popular records such as Alberto Zaya’s Afro-Cubano (1955-1956); Tambores y Cantos (1955); Yambu: Mongo Santamaria y Sus Ritmos Afro Cubanos (1958) and Mongo Santamaria’s Afro Roots (1958). The recordings allowed them to improve their rumba skills in their homes, in public parks, beaches, and neighborhood street corners. 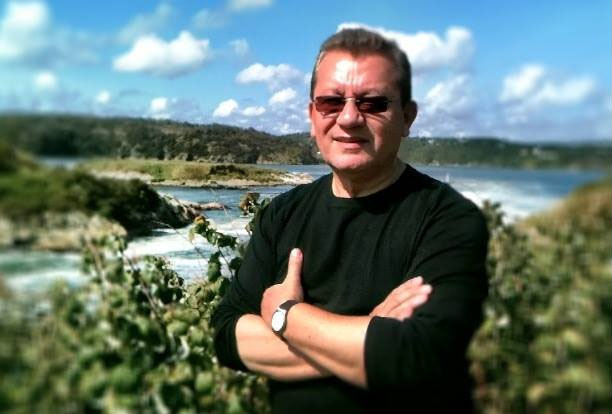 In the book, Voice of the Leopard – African Secret Societies and Cuba (University Press, 2008) author Ivor Miller reveals the story behind the tune, Nuestro Barrio (Our Barrio). Also, the group reinvents Jorge Ben’s Mas Que Nada; lament love lost (Ingrato Corazon); revel in love at first sight (Que Linda Va); sing their praises to the rumbera, Caridad Malda and warn of impending doom (Agua Que Va Caer). The ritual songs, Ya Yo E and Rezo Abacua conjure up images of rum, Cuban cigars, and dancers, dripping wet. Vocalists Eugenio Totico Arango; Hector and Mario Cardeveciao; Juan “Curba” Dreke; Tony Mayari and Virgilio Marti deserve special mention. 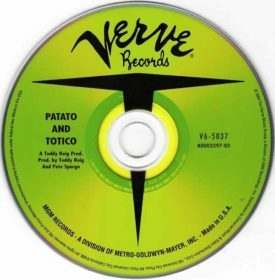 Today, Patato & Totico is considered a seminal recording; a classic and a sought-after collector’s item. Though “purist” question its deviation from the traditional rumba format, many would argue that it is the best rumba record, period! Patato & Totico captures the sights and sounds of a bygone era. Also, it is required listening for anyone who is interested in the development of Cuban music in the U.S.
Carlos Patato Valdes conga, percussion; Eugenio Totico Arango percussion, vocal; Arsenio Rodriguez Tres; Israel Cachao Lopez Bass; Francisco “Panchin” Valdez Sticks; Hector Cadavecio Vocal; Mario Cadevecio Vocal; Juan “Curba’ Dreke Vocal; Tony Mayari Vocal; Virgilio Marti Vocal. Mas Que Nada, Ya Yo E, Ingrato Corazon, Que Linda Va, Nuestro Barrio, Agua Que Va Caer, El El Callejon, Caridad Malda, Dilo Como Yo. According to the research, four versions of Patato & Totico currently exist: Verve Records (Vinyl,1968), Mediterraneo (CD Format, 1992), Verve Reissue (CD format, 2008) and Patato & Totico, Que Linda Va (Caribe Sound Digital Re-Master, 2017, available on ITunes). Also, selections from Patato & Totico appear on various Verve compilations and remixes. Another important album, Totico y sus Rumberos (1982) extends the model of Patato & Totico, with the Cuban percussionist Orlando (Puntilla) Rios and a younger generation of rumberos (the cover depicts the players standing near a lamppost near the Orchard Beach pavilion). Also, drummer Max Roach’s Percussion Bittersweet, where the music works within the jazz idiom and combines modern jazz improvisation with African rhythmic elements. Patato and Totico appear on: Garvey’s Ghost, Tender Warriors and Man from South Africa.